I have three weddings coming up in the next two months, and I can’t very well wear the same dress to every single one! Two of the weddings will have very similar guest lists, so I’ve got to throw in something new and different. If you saw yesterday’s SnapChats, you’ll know I purchased this Rebecca Taylor number to wear to a couple of them. The one-shoulder style is so flattering and the color/print is so romantic and summery! Those of you who’ve followed me for awhile may remember my all-time favorite dress. It’s also a one-shoulder style dress I picked up at Chloe in Paris a few years back. I still wear it every year! It’s a timeless, feminine look I always tend to reach for this time of year. 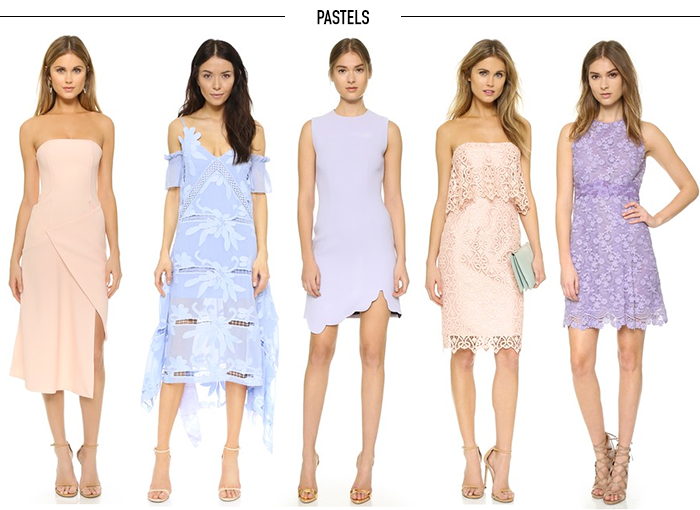 Shop more of my favorite wedding-appropriate looks below! Stay tuned on Monday to see my new dress in action! I have a wedding coming up in May in Charleston and this post is exactly what I needed! 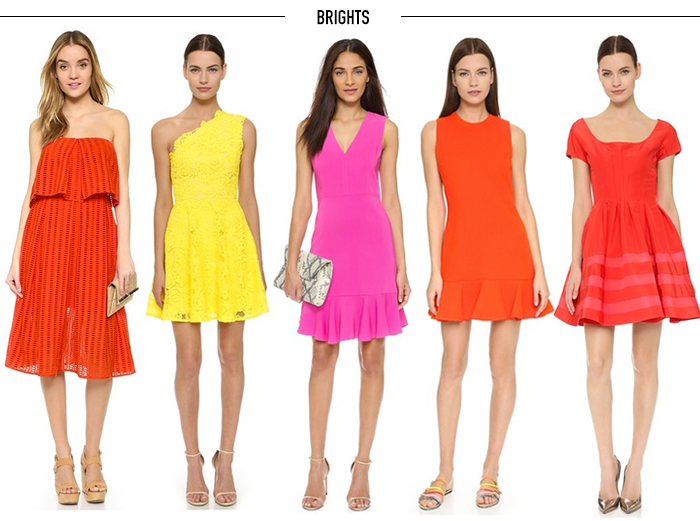 Love the brights. I actually just bought myself an orange dress that I wear on a wedding next week. These are all fantastic choices. 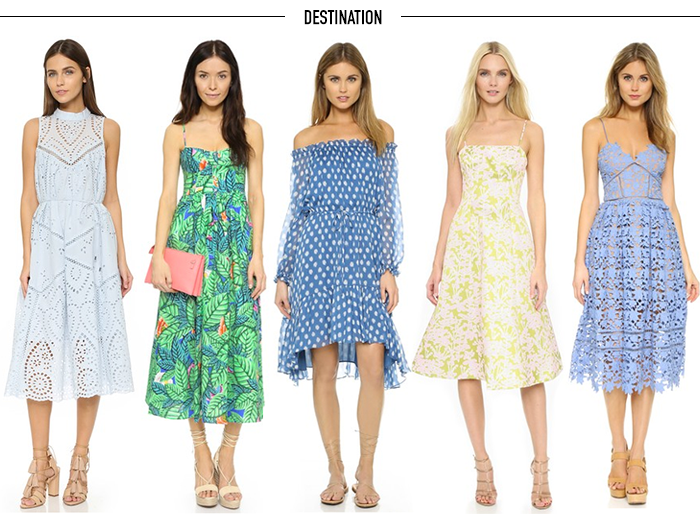 I especially love your “Destination” picks – makes me want to attend a wedding asap! It’s like you read my mind! I’ve been trying to figure out what to wear to a wedding over Memorial Day weekend and you definitely gave me some ideas! I would wear just about every single one of these dresses! Great round up! So many cute ideas! I actually only have one wedding this summer, and I just might have to get that blue Self Portrait dress for it. SO many gorgeous dresses! The periwinkle blue dress by Self Portrait, oh my gosh…absolutely in love. Great dressses! My favorite one is the last one!